Pre-Owned Rolex Sea-Dweller 4000 (16600) self-winding automatic watch, features a 40mm PVD coated stainless steel case surrounding a black dial on a PVD coated stainless steel Oyster bracelet with folding buckle. Functions include hours, minutes, seconds and date. This watch comes with the original box. 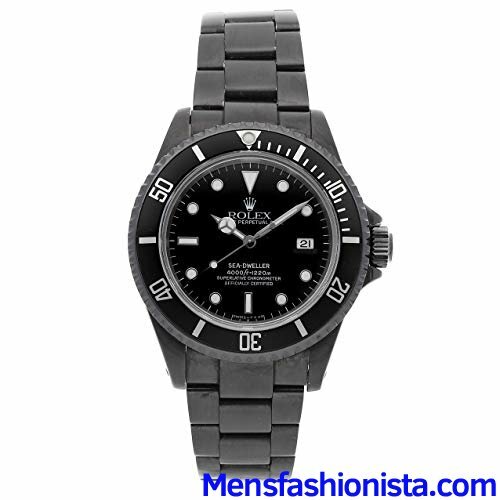 T Serial.Pre-Owned Rolex Sea-Dweller 4000 (16600) self-winding automatic watch, features a 40mm PVD coated stainless steel case surrounding a black dial on a PVD coated stainless steel Oyster bracelet with folding buckle. Functions include hours, minutes, seconds and date. This watch comes with the original box. T Serial. This watch comes with the original box.